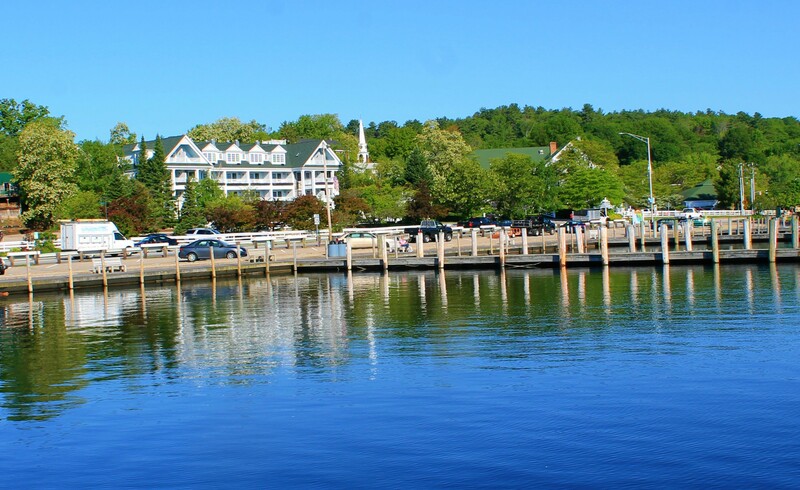 The Common Man Brand does and outstanding job of creating a cool atmosphere for dinning, and no place to land is more fun than lake side dinning in Meredith NH. The most elegant of the choices, this renovated church became a great restaurant and hugely successful Wedding venue... if you can get in for dinner get a window seat if you can?. 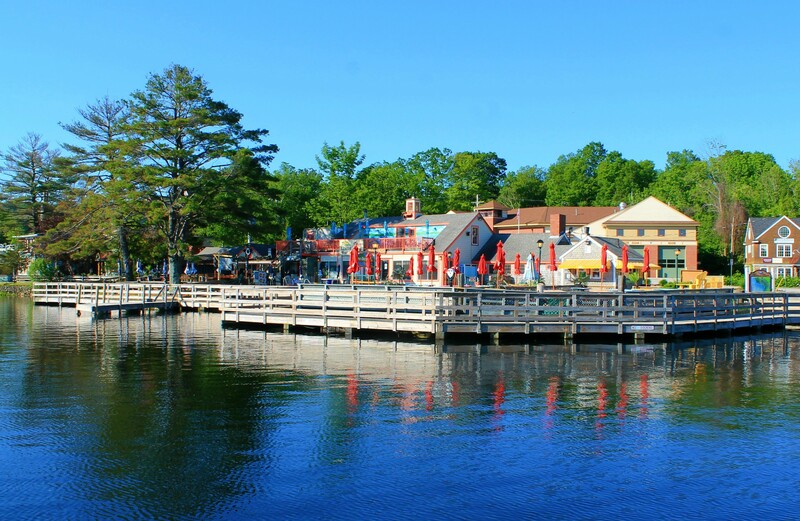 The town docks is a sand under your feet picnic atmosphere with summer drinks a lighter menu and watermelon for everyone ... plus a ice cream window if you are just passing by. Lago more upscale than the town docks, but not quite as sophisticated as Church landing this spot is great for cocktails, appetizers and meeting friends after a day on the water. The Camp at Mills Falls Market place... this restaurant is a throw back to going to camp with pendants and nick-knacks from your youth away at summer camp. The Mills Falls Market place also has a book store, Candy counter, Ben & Jerry's ice cream, furniture store and other shopping options...as well as hotel rooms and other dinning choices. 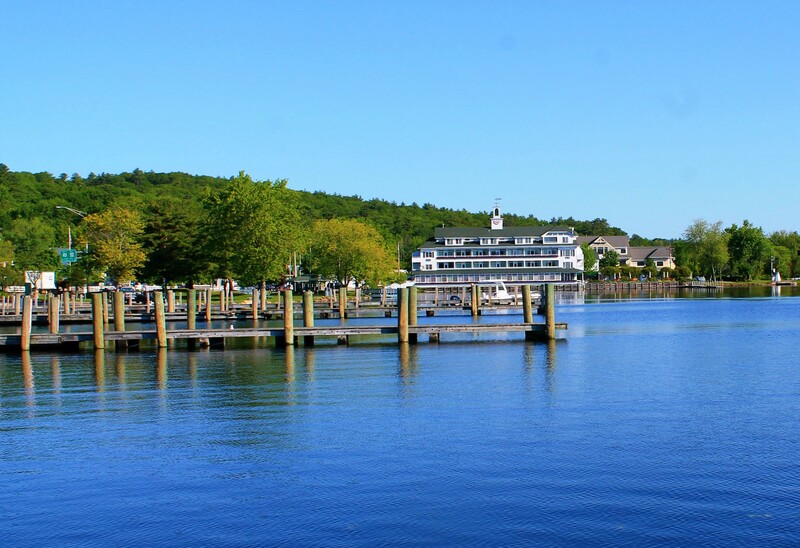 The fun has just begun with summer finally coming to the lakes region of New Hampshire. If you find yourself in Meredith pull over and take a stroll...see the boats, have dinner and by all means grab and ice cream. South Peak on Loon the Aspen of the east? I know the purist will say there is no comparison; the mountains are more than twice the height out west than on the east coast. True. But I defy you to tell me these custom built Adirondack style homes are any less grand that the homes in the Rockies. Besides, you can’t take a two hour ride from Boston and ski Aspen any winter day…if you live in New England. When you build Slope side at South Peak on Loon Mountain, you will have a show place that every family member will want to visit all year long. When folks out west saw their real estate bubble burst, our East coast resort registered hardly a blip. South Peak is officially 10 years old it slowly developed with more than half of the ski back lots now sporting a completed home. 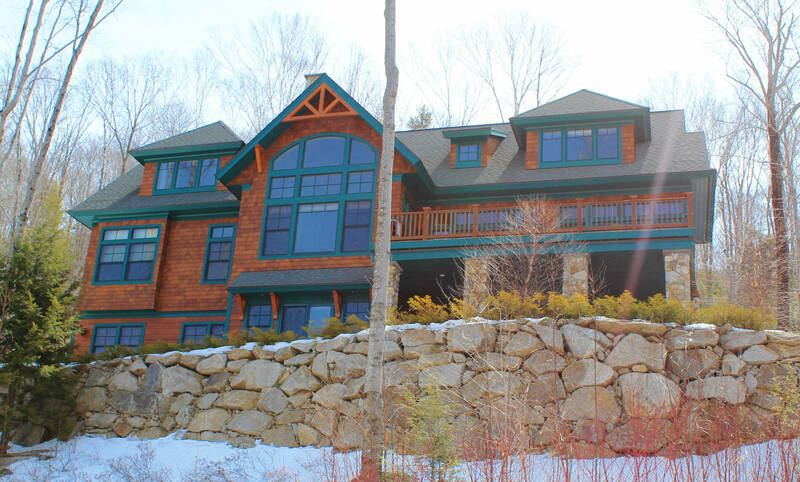 Not just cookie cutter homes, these Adirondack style custom homes fit well in the neighborhood. And with more than 50 million dollars spent on these spectacular properties, it is safe to say they are here to stay. Lincoln NH offers low property taxes and no state income taxes. 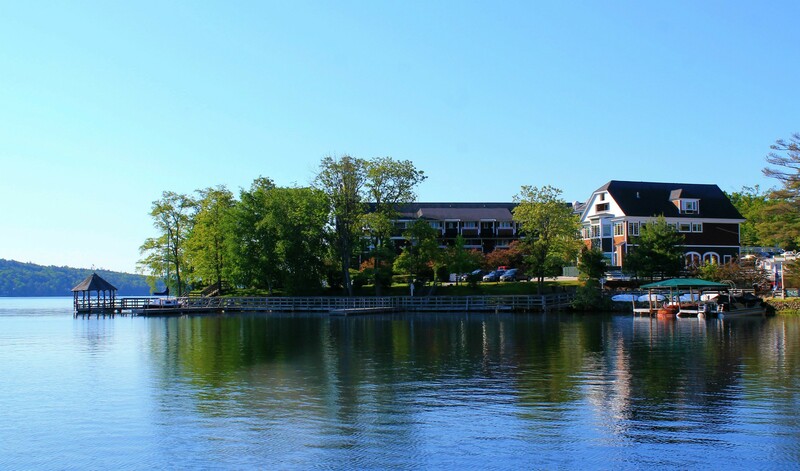 The sites come with underground utilities, plus town water and sewer. 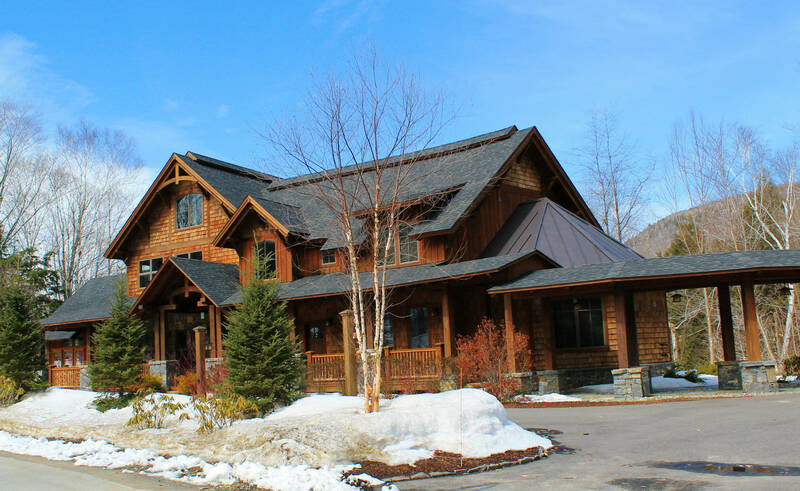 All homes have easy access to the private homeowner's trails featuring ski-in & ski-out trails, lifts and river frontage on the development. 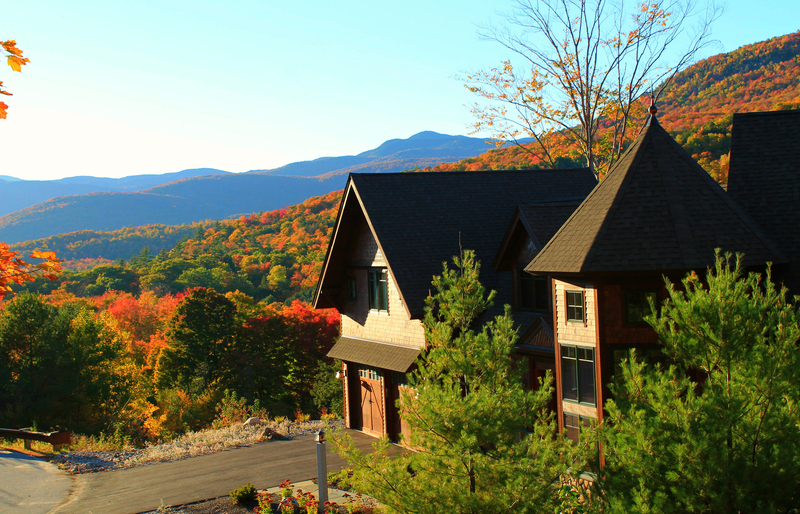 Whether you are a long term Loon Mountain family or just now considering a ski house that has all the modern convenience for folks on the go…forget Aspen build in New Hampshire. Don't Ski?... Well the view Spring, Summer, and Fall is Pretty darn nice too. A limited number of Vacant lots are available for your design build plans. Alpine Lakes Realty & Cargill Construction co ... we'll get you home! !